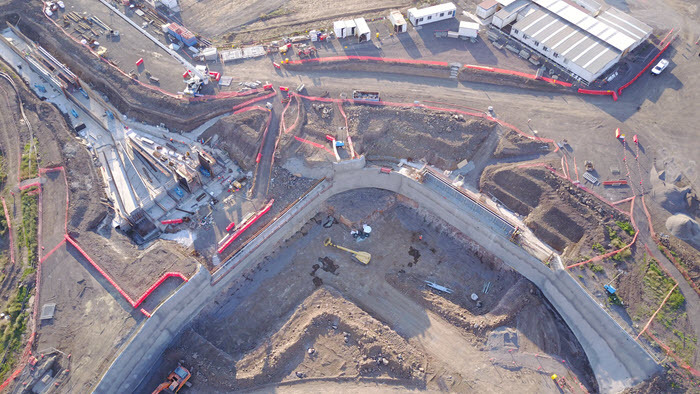 Yarra Valley Water is constructing new sewerage infrastructure in Craigieburn to improve our capacity to collect, store and transfer sewage flows from future developments in Melbourne’s northern suburbs. 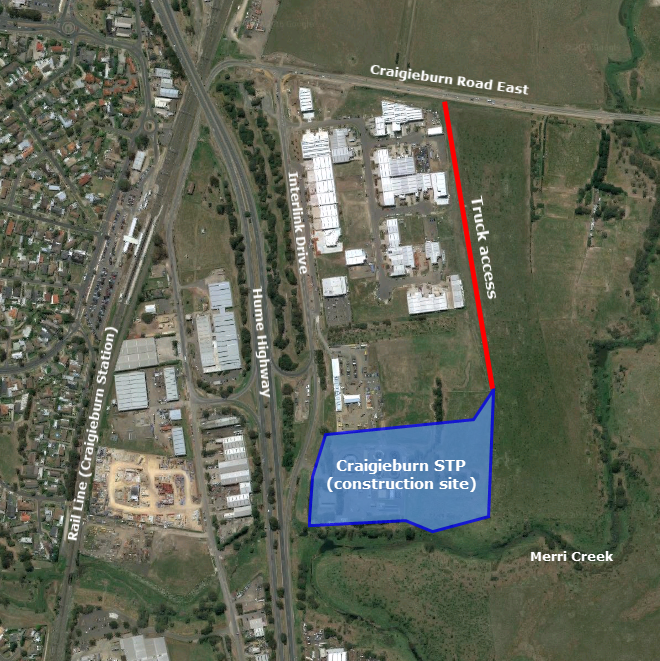 Critical new sewerage infrastructure is being built on our land next to the existing Craigieburn Sewage Treatment Plant, located east of Sydney Road, and south of Craigieburn Road East, in Craigieburn. Our contractor, CPB Contractors, will construct new infrastructure including two new above-ground tanks, a new sewage pumping station, and associated pipework and channels. 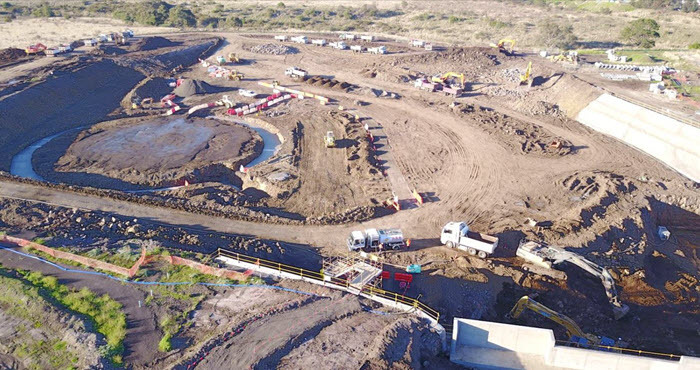 CPB Contractors are in the final stage of their works, which involves installing, testing and commissioning the equipment required to operate this critical new sewerage infrastructure. The project is on track to be completed in early 2019. Our earthworks were completed in mid-2017, and most concrete structures should be built by the end of March, so there are less truck movements using local roads. The two large aluminium roofs will be lifted onto the storage tanks in late March. Since earthworks were completed in mid-2017, truck movements to and from the site along our temporary access road have reduced. Delivery vehicles and concrete trucks will continue to access the site from time to time. CPB Contractors are currently constructing the concrete structures, tanks, buildings, pipelines and permanent access roads. Within the next few months, large aluminium roofs, which may be visible from a distance, will be lifted onto the tanks. Work started in early November 2016. The most noticeable part of our works is still the high frequency of truck movements along our temporary access road, as we transport excavated soil and rock off-site. Our earthworks are about 90 per cent done. The high frequency truck movements should reduce by mid-June 2017, when the earthworks are expected to be completed. CPB Contractors have nearly completed their shotcrete (concrete sprayed through a specialised hose at high velocity) retaining wall works, which means the construction of concrete structures, including the tanks, will begin in the next month. Construction is scheduled to be completed in early 2019. CPB Contractors will work from Monday to Friday, between 6.00am and 6.00pm, and on most Saturdays between 6.00am and 5.00pm. If you have any questions or feedback please contact the project manager, Ella Gross, on 9872 2404.